What should you know about Credit Card? Credit Card is one of the many credit facilities provided by the lending institutions, especially commercial banks in the form of Cash advance from ATM booth, purchase of products from outlets and payment of products bought through online. For purchasing the products, merchant are paid by the issuer of the card, which is ultimately collected from its user. The user is approved a specific limit to spend within. In a world of depreciating the value of money and availability of products and services on the instant in a single place, it has become difficult for the shoppers to carry bags full of money to purchase products. By purchasing products on credit the card holder actually expedites his/her future consumption at present, while availing maximum interest free period of 60 to 90 days. Card issuers also offer them to convert any purchase of big amount to a term loan repayable in installments. There is also risk of carrying such a huge amount of cash when people hover around different stores and outlets to buy a number of products. So the solution is going with Credit cards having sufficient limit, choose the product, swipe the card at the POS machine (if the card is of magnetic stripe) or input your pin (if the card is of EMV chip based) get the transaction approved and go to home with your purchased products with obligation to pay later. Online shopping is becoming popular day by day and credit card is playing an instrumental role behind this popularity. If there is limit available in it, you can make order by just logging into the merchant website, choose from a wider range and brands of a particular item and get it right in your doorsteps, no matter where it comes from. To retain the existing customer and to get the new one, credit card companies and network service providers offer reward programs like discounts, cash back, regular reward point against purchase of a specific unit and bonus reward point on some special occasions, waiver of membership fee, which you would not get in your cash purchase. Credit card boosts up the sales by means enhancing the purchasing power of customers coming both physically into the stores and through online. As there is cost involved per transaction in card sale, retailers pursue the customer to purchase more by using cards through cross selling of products. There is a possibility of bounce for a cheque, but in case of card once the transaction is authorized, the merchant is confirmed to have the sales proceed, regardless of the card holder’s ability to pay, unless there is a legitimate disputes raised later which can turn into charge backs for the merchant. Even in case of CNP (Card Not Present) transactions funds are deposited in merchant account before the delivery of services. These advance deposits work as precious working capital for the business enterprises, which saves a lot of interest expense if that was borrowed from a bank. More sales through cards mean fewer amounts of cash to hold at the counter by merchants, which helps in preventing internal theft,lowers the cost of processing checks and remitting cash to the bank. Earning good volume of revenue: Each and every service provider involved in making arrangements for card transactions, its authorization, settlement and depositing the fund to the merchant account after collection from the card issuer have their own share of revenue generated from Credit card transactions. Among the all, card issuer enjoys the largest share of revenue, because it has to undertake the largest type of risk-credit risk, which can even jeopardize its existence and it also does the most part of the marketing effort. Financial institutions are allured to offer card service not only to earn high rate of interest income, but also to gain different fee based incomes. On the other hand the acquirer remains in the safe side as it is confirmed to have its pre-agreed portion of the commission deducted from total sales price. Acquiring new businesses for card issuer: In addition to generating good volume of revenue, credit card opens the window for the issuer by acquiring new businesses from the existing cardholders like offering other retail loans, mortgage loans etc. Creation of extra demand and additional job opportunities: The increased purchasing power of consumer’s creating extra demand for the products and services in the economy and thereby new job opportunities are created. Thus the supply side of the economy is benefited. Entrepreneurs dare to finance their small scale business: It is very common that Issuing banks follow a more generous approach for card marketing than offering business loans. New entrepreneurs avail this opportunity for financing their small scale businesses by availing multiple credit card at a time. First of all, the application is submitted to the card issuer in which applicant’s Social Security Number (SSN) is mentioned along with all other required information. Having SSN means the applicant is permitted to work in the US, his/her income is reported to the government and is eligible for benefits of Social Security. To apply for a credit card, the applicant need to have a permanent address; (For international students, address of college or university are treated as this.) Stable source of income and sound transaction in bank account will increase the chance of approval. Applicant should not apply for more than one card at a time, because if these are rejected then the chance for future approval another issuer decreases. Application should be submitted online through a secured site. As the personal information goes direct to the issuer, eliminating the risk of identity theft by the hacker is reduced. Ø Secured Credit Card- an easy option to build up good or repair a bad credit history. Due to lack of credit history and immigrant status international students find it difficult to get approved a credit card in the US. They can apply for a secured credit card, which is issued against lien of deposit made with the issuer. It is as like as a regular credit card, but secured with a deposit, which to be debited either to offset the card liability at the time of closure requested by the cardholder or due to serious delinquency (150 to 180 days). In such cases total outstanding may exceed the total deposit value, which results not only in forfeiture of deposit but also left with remaining debt. Card-issuer: The financial institution which issues the card and bills the card holder for repayment and bears the risk of its fraudulent use. They are the financial service provider like Chase, Bank of America, Capital One, Wells Fargo, Citibank, American Express, Discover and others. Card network: They processes worldwide card transactions and set the terms for different parties involved here. They are Visa, Discover, Master Card, American Express, JCB (Japan Credit Bureau). Merchant: The individual or business at whose end credit card transaction is executed against delivery of some product or services. Payment acquirer: The financial institution which collects payment from the card issuer on behalf of the merchant. Each have their own share of revenue generated from credit card business. Here we see that both American Express and Discover, works as both Card issuer and card network. Sectors of the economy involved /Related to Credit Card? United States is the leading country in terms of credit card usage and champion in generating business revenue from it. 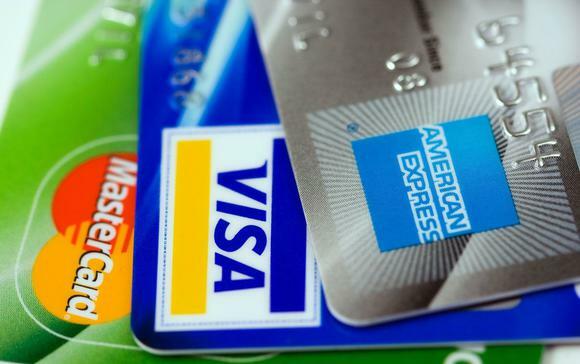 Here you can buy almost everything by credit card, whether it is grocery items or luxurious car, or whether you want to engage in gambling or willing to donate to your community churches; it’s only a matter of few minutes to fulfill your desire if you have credit card with required available limit. So, almost each and every sector of the economy is related with card services. Obviously finance industries are the most directly involved with it,as it offers the service. Manufactures of plastic cards also earns a sizable income from card issuers. Besides credit card increases both the purchasing power of its users and the velocity of money, definitely it has some positive impact on both the micro and macro economy. Money flows to different sectors of economy especially to food and catering, tourism, aviation, retail outlets, home appliances etc. as people tends to spend more. Membership fee: Generally charged on annual basis based on status of the card, i.e. Classic, Silver, Gold, Platinum, Titanium. Card issuer may also charge preferential rate for some particular segment of customers like student, women, senior citizens etc. Finance charges: Interest charged for nonpayment of total due amount within due date. Interest rate varies from 18% to 36% depending on the agreement between issuer and the cardholder, in case of default which is calculated back from the date of POS transaction, but for cash withdrawal it is calculated from the day of withdrawal. Cash advance fee: Maximum 3% of the amount or a fixed amount for cash withdrawn from ATM booth. Some of the issuers waive this fee. Late payment fee: Charge imposed if at least the minimum amount mentioned in the statement is not paid. Over limit fee: Penalty imposed for total outstanding amount exceeding the approved limit, mainly due to charging of interest. Foreign currency Transaction fee: (maximum 3% of the transaction amount). Some of the issuer waives this type of fee. No way to get out of liability: If the cardholder fails to pay his full outstanding balances within the due date, the issuer charges higher than average interest rate and simultaneously imposes other penalty charges, as a result those who solely depend on credit cards or go far beyond their ability to repay the debts, very soon find themselves sunk into the ocean of debts and ultimately get bankrupted. Their default status is reported into the credit information bureau and their other mode of financing gets blocked. As a result, they find themselves without any option to come out of the debt. This sort of financial stress has a severe impact on both their physical and mental health. Increase of default culture: When so many cardholders go bankrupted for a bank and if it is accumulated in national level for all the card issuer, then there is an ominous sign for the macro economy as the bad loan culture increases. When card issuer has to keep higher level of provision and write off the card loans from their balance sheet, then the question of bail out arises. Ultimately tax payers have to bear this burden. Creation of hyper-inflation: Issuance of too many credit cards specially with higher than the justifiable credit limit, creates hyper-inflation in the macro economy, people with lower income level cannot cope with increased price level, and if they can then they have to cut short their budgets for basic necessities. Reduces the profit margin for merchants: Card acquirers charge the merchants from 1% to 6% commission for each transaction known as interchange fee. In addition to that some acquirers levy a fixed charge per month. If these charges are of small amount then the merchants bear it on their own account, but if it is of higher margin in proportion to products sales price or if the products are sold with low level of profit margin, then the merchants tend to pass it on to the cardholder’s account by charging an extra percentage. Fortunately this sort of practice is banned in 10 states of USA. But this makes the merchant reluctant to accept credit cards or force to hike the price of the product. Constant fear of fraud: Another serious concern for the parties involved in card business is fraud. Most card issuers will refund the customer for some or full of the charges if it is proved that the transaction is made fraudulently and the cardholder has nothing to do. If the transaction is executed by mail order then the merchant has to bear the penalty because view of the card cannot be claimed. To protect such fraudulent activities card issuers assure the merchants will be paid for legitimate transactions subject to confirming the identity of the cardholder. They have also separate wing to monitor any unusual transactions in any credit card account. In case of online transaction there are some protective measures like fixing up the maximum time limit and maximum amount of transaction (especially in case of transactions made in foreign currencies) to execute, generating OTP (One Time Password) and text messaging to the card holders registered contact number. But the recent high-tech invention to protect fraud is manufacturing of EMV chip based card, which requires inputting the PIN number directly by the cardholder into the POS machine. Unfortunately it is alleged that these EMV chip based cards are slow to process and authenticate transactions due to fulfillment of extra precautionary measures. Think twice before using the credit card: What good or what harm can credit card do to you; all depends upon your sole discretion. The solution is keeping one motto in mind, “I am borrowing money from the card issuer, which I have to pay with interest on or before the due date?” If anyone keeps that saying in mind, then surely he or she would think twice before using the credit card. Although there are enough limit in the credit card, but the cardholder should set a maximum limit for them in a month a suitable portion of his/her monthly earnings. Keep ready another credit card with available limit to adjust the outstanding of existing one: There are lots of companies offering you credit cards. Which one you should opt for? That one which rewards you most. The answer is Yes, if you have enough liquid money to pay within due date. But if half of your monthly income goes to pay your fixed obligations like house rent, loan installments, staff salary then you should choose another credit card which statement date and due date are not the same to that of your existing one. This means if the due date of your existing credit card is 30th of each month then you should choose another credit card with statement date of 25th of the month. So that on 26th day you can transfer the required amount from the credit card and adjust the existing outstanding before the due date of the other, i.e, 30th day. Transaction alert services: Card holder receives a SMS informing that a transaction of amount mentioned has been executed by his at an outlet. This has been done to protect any unauthorized transaction. Push service: Card issuer acknowledges the bill amount with last date of payment to their customer whenever his/her monthly bill has been generated by SMS. In addition they also alert the cardholder about the due date few days earlier. Pull service: Cardholder seeks information of his/her card by sending a short code to a specific phone number designated for that particular issuer. In response the cardholder receives the desired information very soon. If you are in a puzzle with your dues or any other queries regarding your card, then you can directly call the customer service representative at their call center. There they would respond to your queries, subject to confirmation of your identity that you are the genuine cardholder. This is 24X7 hours operating call center. How to close the credit card? Are you exhausted with your credit card hassle? Do you think that it is forcing you to make over expenditure? Or are you bothered to keep track of its due date and total dues? No Problem. Straight go to the card issuer’s office nearby, know and adjust the full amount of your dues, fill up a prescribed form and submit it along with your plastic card and check books, supplementary cards (if any). They would instantly destroy your cards and other ancillary instruments (if any) and close it in their system as soon as possible.